Typically, these products use chemical components that have been naturally derived or are in some way considered “non-toxic”. There are even DIY treatments out that using household items like white vinegar and dish soap. Some of these products may be effective in the treatment of weeds after they appear, but do you know what the very best natural weed control for your lawn is? A healthy lawn is the best natural weed control. Protection from weeds starts with a healthy lawn. Simply put, when your lawn is healthy, it is harder for weeds to grow. When your lawn is is healthy, it grows in thicker and fuller. This makes it harder for weeds to grow. In order for weeds to grow, they need heat and sun. Healthy turf offers weeds limited growth space and makes it harder for them to receive the sunlight they need to become a problem. Proper lawn care maintenance is natural weed prevention. Maintaining a healthy lawn takes work, but is work worth doing or better yet, having someone else do for you! Following a proper maintenance schedule for your lawn will enable it to become its own best defense against weeds. A healthy lawn minimizes the need for weed control treatments and allows you to simply spot spray when necessary. Fall aeration and seeding helps your cool season lawn prevent weeds. If you have a cool season lawn, fall is a great opportunity to set your lawn up for success with core aeration and seeding. Core aeration and seeding is one maintenance service that you do not want miss. 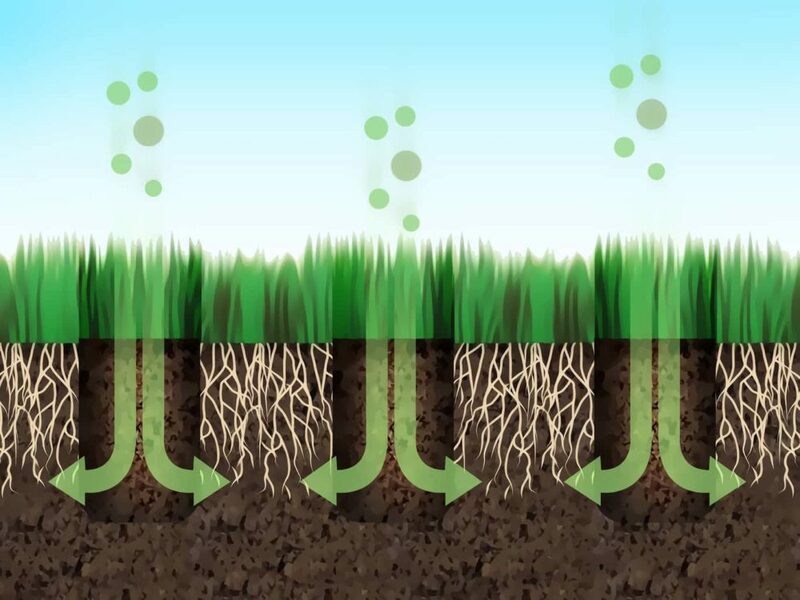 Performing core aeration removes soil plugs from your lawn. This alleviates soil compaction and allows for better water and air absorption. If you have warm season turf, you should receive core aeration during the summer. Seeding or overseeding as it can be referred to, adds thousands of new grass seeds to your cool season lawn that will germinate into new growth (warm season lawns do not need seeding). 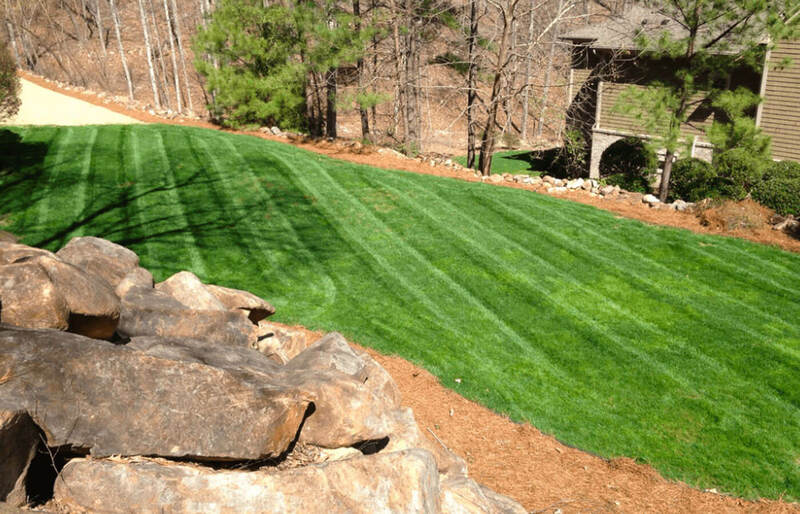 New grass + healthy soil + proper care = healthy lawn. Fall is a great time to get rid of grassy weeds. There are two main weed varieties. Broadleaf weeds and grassy weeds. Broadleaf weeds are easier to treat than grassy weeds because they can be selectively spot treated. Grassy weeds on the other hand, are in fact grass varieties. This means that in order to get rid of them, you need to treat them with something that will not also kill the grass you want to keep! If you are looking for a natural weed killer, mother nature does a pretty good job. Grassy weeds like crabgrass like warmer temperatures, so they begin to die off on their own in the cool season. This is another reason that we recommend aeration and seeding service this time of year. Allow your lawn to fill in with new, healthy grass and the grassy weeds that die off during the winter season will have a harder time growing back in the spring!